The polls are open today from 6am to 9pm for all registered New York State Republicans to vote in today’s presidential primary. The candidates on the ballot here in New York State include former Massachusetts Governor Mitt Romney, U.S. Congressman from Texas Ron Paul and former Speaker of the House Newt Gingrich. 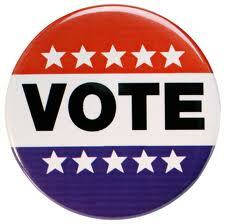 You can excersise your constitutional right to vote in today’s primary at your local polling place.